No trip to London is complete without visiting the Tower of London. A world heritage site, it attracts millions of tourists from all over the world. Step within its walls and each way you turn echoes of the past abound. Walk past the Wakefield Tower and you’ll find a living link to the past in the form of the Tower ravens. If they ever leave, it is foretold the kingdom will fall. For the first time in its storied history, the Tower of London has been chosen to feature on a brand-new collection of UK coins. 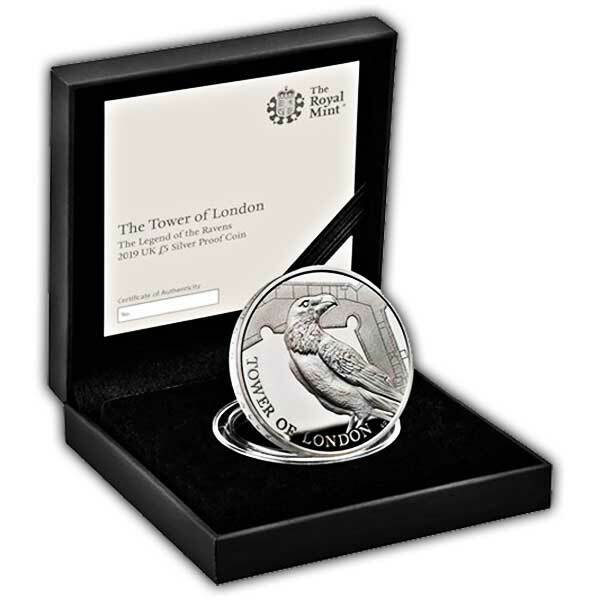 The first coin in the series showcases these infamous birds, whose fate is entwined with the Tower. 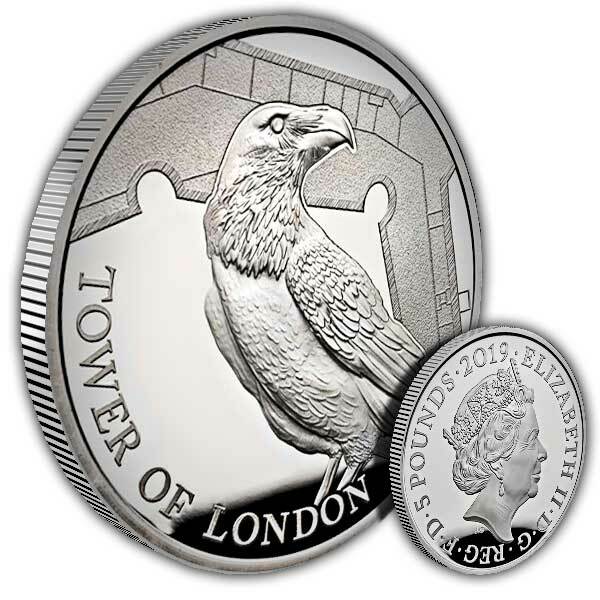 A single raven stares back at you surrounded by the Tower walls on this beautiful silver Proof coin.